After reading the editorial: A+ coming too easy for MRU, I felt compelled to write a letter to the publishing editor of The Reflector. Having never read a single letter in the pages of The Reflector, I went through the entire paper to discover there were no letters in the print edition of the paper. Alternatively, I searched The Reflector’s website to find examples of reader participation. I examined every page, and concluded The Reflector website, as a catalyst for discussion, remains unutilized. Comment posting has become a powerful feature of the Internet. I often find the comments posted on YouTube more entertaining than the actual videos. Some comments are humourous; other comments are insightful observations, altering my perception of the source material. Who doesn’t enjoy intelligent responses to ignorant comments, and who doesn’t relish the opportunity to take first crack at flaming the juvenile remark: “ur a fag,” before the site administrator deletes the comment altogether? I assume most students have, at some point in their lives, posted a comment on a site similar to YouTube, or have commented on a photo, video or wall post published on their friends’ Facebook. Our lack of participation is not because of our inability to use the technological devices we possess. Given the enormous popularity of texting with cellular devices, in an effort to increase student participation, The Reflector could implement comment posting via mobile devices. As innovative as this idea is, the lack of participation within The Reflector is not because of inaccessibility. The lack of student participation is not due to an illiterate student body, the pre-requisite course English 1101 virtually ensures this. The lack of participation is indicative of an apathetic student body; more precisely, a student body who does not take the writing in The Reflector seriously. In Calgary, we firmly hold a prejudice towards the work of local writers, performers, and artists; high-profile, internationally renowned professionals are to be taken seriously, and are saying something worth listening to. The work created by locals we assume to be crap — not worth our time. 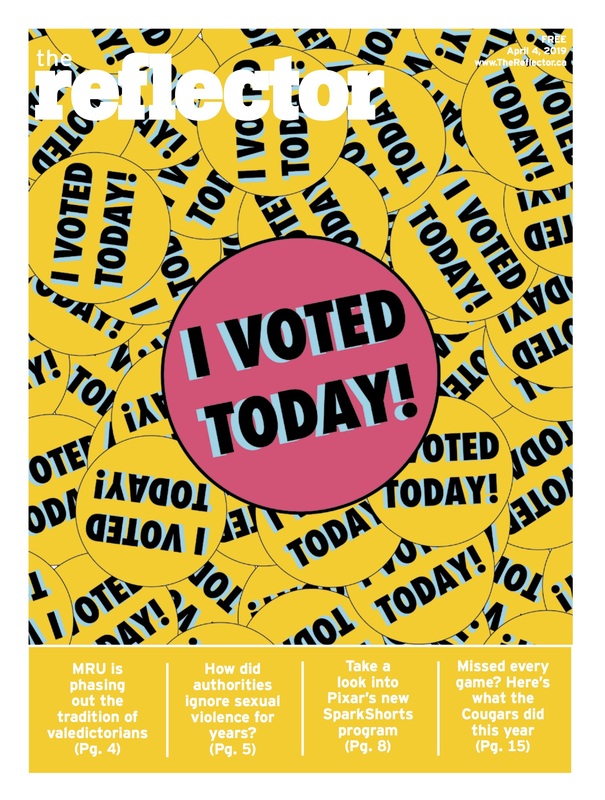 Ironically, the very students who pass The Reflector stands everyday and assume there is nothing worth reading in the pages of their student paper, are the same students who struggle every day to be taken seriously by their families, friends, teachers, employers and their government. I am concerned with both this unfair prejudice we hold towards the students we attend classes with, and the implications of the lack of student participation within student-run forums. No letters equals no intellectual involvement. Our lack of intellectual involvement is reflective of a weak student body; a student body overwhelmed by their individual dramas, and encumbered by the responsibilities of adulthood. It is reflective of our lack of unity, and the fragmentation within our communities. It is indicative of apathy and the overall discordance plaguing modern society. It is reflective of our degrading levels of critical thought; we have become dependent on scholars and politicians, executives and advertisers to think for us, to tell us what is good, bad, right and wrong. Our lack of intellectual involvement renders free speech — a powerful tool necessary for the proper functioning of a democratic society — useless.